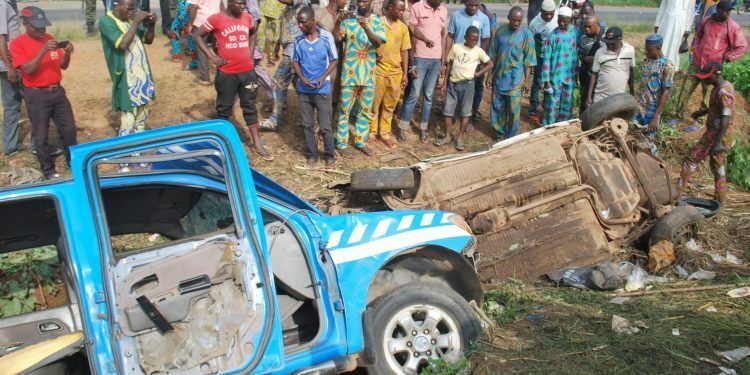 About five persons were confirmed dead on Friday after a Federal Road Safety Corps (FRSC) van chased a taxi driver into a ditch along the Oyo-Ibadan Express road. 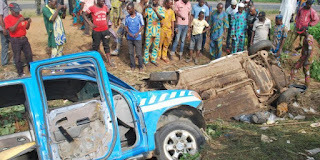 PM News reports that the five passengers in the taxi died while the FRSC officials escaped. However, Bisi Kazeem, FRSC’s spokesman who commented on the accident said nobody died.